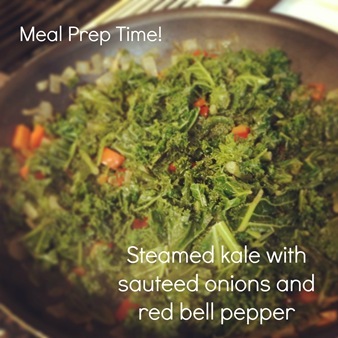 Meals – Day 3 Wednesday! Today was the BEST day so far! The past few days I will admit I was craving that bite ( or 3 ) of dark chocolate at night or the fresh baguette with hummus, but today I had ZERO cravings! I must admit this is the most protein I have consumed in a LONG time. From my protein powder in my oats and shake, added beans and meat to my other meals and upping my water, I feel the best I have felt in a long time! 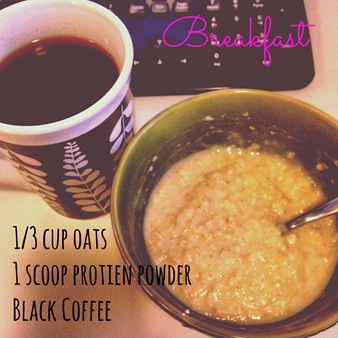 And it’s official – I am eating my protein oats every day now! As much as I love them, I will be switching it up and eating egg whites on the weekend. I declare this my Official Breakfast! I was busy today and didn’t eat lunch until 1:30. 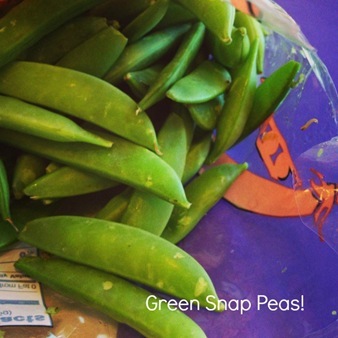 In between phone calls, I munched on my sugar peas! 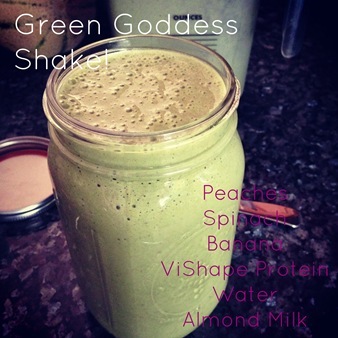 When I FINALLY took lunch, I made a Green Goddess Shake! This beauty had peaches, spinach, banana, ViShape Protein, Water and Almond Milk! Tonight I took the time to cook and meal prep. 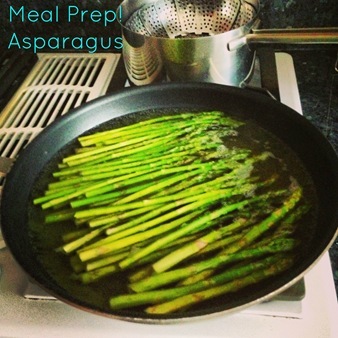 Last night I had cooked off some chicken breast pieces and tonight I cooked off some asparagus and broccoli. Remember: to succeed is to plan! I quickly made a chicken salad for dinner. It wasnt pretty but it sure tasted good! 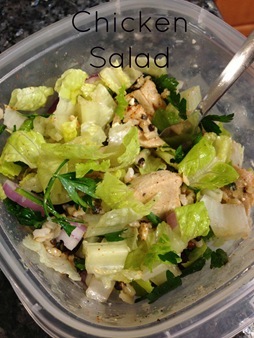 It had romaine lettuce, 1/2 cup chicken chunks, 2 teaspoons feta cheese, dried cranberries, parsley, cayenne pepper, red onion and olive oil. I hope you all had an amazing Wednesday! Check my blog tomorrow for my new eats!